This is your life, and it is yours alone. You have complete freedom over your actions, as long as this freedom does not hinder someone else’s. You’re free to love, free to hate, free to build, free to waste. You’re free to live a life that defines you. Because in the end, that’s all that matters. The same with feelings. You cannot force a certain feeling on someone. Just because you sympathize with someone, doesn’t mean the whole world must feel the same way. We are, nevertheless, different in how we express our emotions, and our brains are not wired the same way. Though this argument immediately turns empty with certain subjects of interest. Some subjects should never be argued between one human being and another, unless one of them is a psychopath, only then no justified blame can be thrown. As we move forward in time, we’re constantly anticipating changes that would make our lives easier. Time, along side with hard work, has always mesmerized us with the amount, quality, and pace of development, growth, and evolution that the future holds for us. But all of this is of the material world. Speaking of the spiritual world, nothing but pure degradation is the outcome of these changes. As fast as the expansion and development of the material world is considered, spirituality, along side with humanity, is coming to an end. We are, nonetheless, spiritual beings. One of the reasons why we’ve reached this level of apathy, is I believe to be ignoring our instincts, ignoring our brothers and sisters’ need for sympathy. We became selfish living beings. For as long as ‘we’ are living a decent life, nothing else matters. Surely, there’s nothing wrong with living your life. As the motto goes: “Live, and let live.” but if I’m living a decent life, and my brothers and sisters aren’t being able to live, how am I suppose to live? Read this paragraph and simply fell in love with it, thought I’d share it with you guys! There are some people who enter your life like gems. These are the real diamonds. They have no ulterior motives, no inferiority complex, no superiority complex, no need to prove that they are better than you, or seek to have more than you. They don’t feel entitled and aren’t needy or dependent. They are not superficial or fake. They remind you of God and they understand you, when no other person does. They don’t wear a mask with you or pretend to be perfect. They are just real with you and honestly and sincerely only want good for you. You feel you can tell them anything without worrying that they will judge you or put you down for being imperfect. They know your flaws, but love you anyway. And they are loyal. You know they’ll be there for you. They’ll always have your back. And best of all, time and distance doesn’t change this. If you’ve met even one person in your entire life like this, you’re blessed. To God we belong, and to Him we shall return; A sentence we, Muslims, say in the face of any catastrophe, reminding ourselves of our origin and eventually our destiny. Our eyes flood with tears, our hearts burn with sorrow, but we never speak of anything other than what pleases God; Another sentence we repeat after our Holy Prophet in the face of similar circumstances. Death is the most denied fact of all time. We refuse to believe that it is true. We live our lives from the East to the West, distracted by this world’s goods, and we seldom think of what may happen to us the moment we leave our bodies and head towards our Creator. We prefer to think otherwise, although we are similar to passengers travelling on a train, with each passenger leaving it when reaching his destination station. 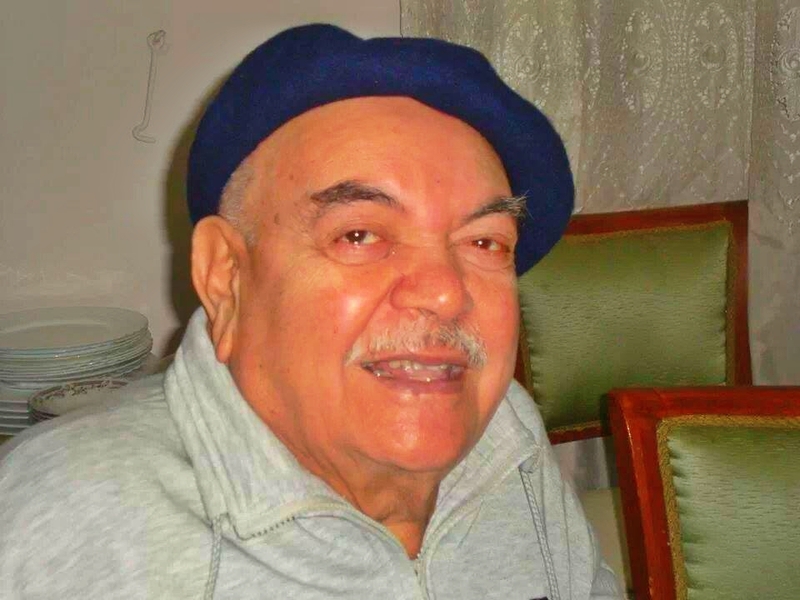 My Grandfather passed away last Monday morning, so we booked a ticket back to Egypt as soon as possible to share our grief with the rest of our family members and loved ones. Unfortunately, me and my mom didn’t have the privilege of attending his burial due to the lack of time and flights available. But we did attend the funeral, and we were told that the burial went so smoothly, with everything facilitated and blessed. To me he wasn’t only my Grandfather. He was my Father, who raised my cousins and I all together, among whom were orphans. He was a friend, with whom we all enjoyed sitting and joking with everyday. His hands has never hurt anyone, his mouth has never spoken badly about anyone, and his heart has never carried an atom of hate towards anyone. He was surely a rare combination of character, that hardly exists in this world. His wide smile is what resonates in everyone’s memory of him, as he rarely took it off his face. He was deeply loved by everyone, a love that was reflected in the massive amounts of people attending his burial and praying for him. Grandpa.. The magnitude of the love you gave us cannot be put into words. You gave us hope and faith in humanity involuntarily through your unique character. You taught us how to enjoy life peacefully, without any form of agitation. You showed us how a real man should treat his wife, through your devotion to our Grandmother, during her life and afterwards. You brought joy to everywhere you went, and took it with you the moment you left. Life can never be the same without you in it. I pray God to have mercy on you, and to reunite all of us once again in Heaven, Amen. Life goes on, shoving away anyone standing in its way, refusing to go on with it. Everyday we are forced to start over, regardless to how we feel. There is no pause button. There is no time to cry. Like a stampede, you either get to run with it, or you get stepped on. I wanted to update you guys with my news and stuff, and was waiting for any good news to show up. But it turns out I will have to wait forever before something like that happens. 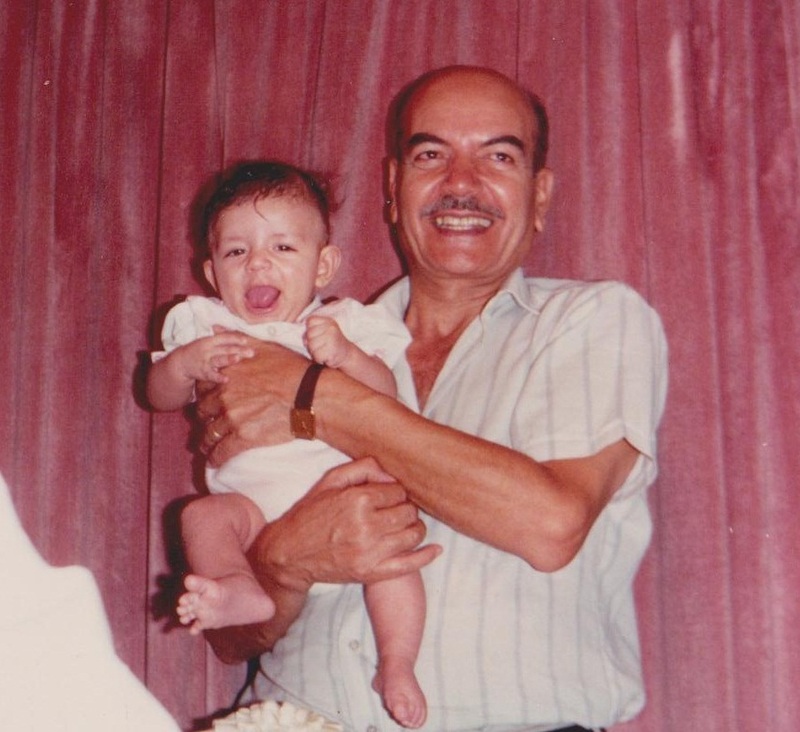 Since my last ‘Back on Track’ post, my grandfather’s condition deteriorated, he had to enter the ICU, and we had to travel back to Egypt to be near him. So my mom and I took a quick vacation and went back to check on him. We stayed there for about 12 days. The ICU visiting hours were 1:00 pm and 6:00 pm. Although he was always asleep and not aware of us around him, we went there on a daily basis, reading some prayers beside him, and hoped that the doctors would tell us good news. The only good news that we received during this quick vacation, was that he was on the ventilator machine, and that now he’s finally breathing on his own without it. So it was really tough, we’re all greatly depressed by what has happened to him. I know you guys here are wonderful people, and I’m sure that if I asked you to keep him in your thoughts and prayers you all would, and I’m totally sure that it would make a big difference, if God wills. Moving on to my career plan, the last that you’ve heard from me was that I worked in this hospital, where they move lifeless bodies covered in white sheets, and keep critical machines, that patients rely on, not working. Well, thankfully, something else showed up lately. A Communications Engineer here in Saudi Arabia got my CV, interviewed me on Skype, and is currently interested in meeting me face to face to arrange how we could start working with each other. So thankfully, right now, I am left with two options: Either I keep on working with those amateurs at the hospital, and continue losing my faith in humanity bit by bit. Or I could give it a try with this Communications Engineer, and see what I can do there. In case you don’t already know, I took my bachelor degree in Communications Engineering. So working with this guy in this field would be very useful to my career, I think. Anyway, I do hope that the best is yet to come. I’m terribly sorry if I’m not following up much with all of you, I do owe you an apology. On a side note, I would love to know why I don’t see RCC posts anymore. I sure hope everyone is motivated enough, one way or another, to keep on living his/her dream. I am back home in Egypt to spend a two months vacation with my lovely family. I became deeply saddened by what I saw the moment I arrived home. Remember how life is so fragile? Well, I am reminded by that every single moment of everyday. 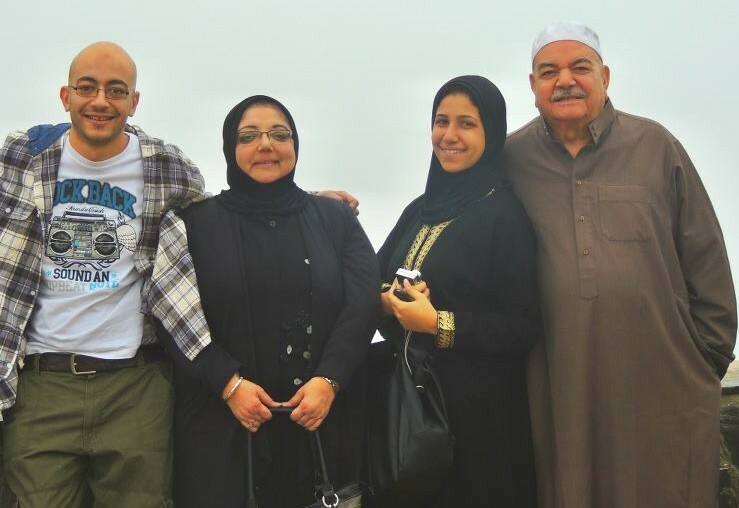 Four months ago, back in Saudi Arabia, my grandfather was visiting us, me and my mom, with my cousin DouDou, and I remember we had such a beautiful time together. Everyone was so happy, the weather was perfect, we even went to Mecca, prayed in Almasjid Alharam mosque, performed Umrah, and despite the fact that we missed our flight back from Mecca, it was so much fun to be together. But my grandfather sadly fell on his head the moment he arrived home in Egypt, had a minor concussion, and his frontal lobe got affected by this incident. It was shocking to hear the news of someone who was just with you a few hours ago perfectly fine, saying that he has lost some memories, having behavioral changes, and is no longer able to communicate like before. I was skeptical the whole time I was in Saudi Arabia, thinking that everyone was kind of exaggerating the situation. But when I arrived here, and laid my eyes on him for the first time since the accident, I acknowledged that it was true. I kept having flashbacks of his sense of humor, his smile that never left his face, his humble personality, and how he has never hurt anyone physically or emotionally. I pray God to ease his pain that we cannot feel, bless him for what he was and still is, and bless us through him. Although he’s not fully with us nowadays, but we owe him the benefit of combining all of us together, around him every single day. This is a picture of he and I, while I was still a UFO creature. This is a picture of the three of us, myself – my mother – DouDou – him, in Saudi Arabia, a couple days before the accident. Thank you for reading, may God be with us all.. I don’t know what to say. Should I lay on my knees and pray? That I don’t have to blog without you guys a day? Or should I go buy a plane ticket, and plan to pay each and everyone of you a visit? I’ve been nominated by Ionia, Kira, Saunved, and Olivia, for the WP Family Award! I am in blog love with all of you guys! I’ve loved what this award represents, and I’ve always felt this way towards all of my amazing readers. I’m supposed to nominate 10 bloggers for this award, but I honestly consider allot more than 10 to be part of my family. So please please pleeeeeeeaaase excuse me for passing the nomination part on. I prefer to nominate them individually rather than throwing them all in one post.